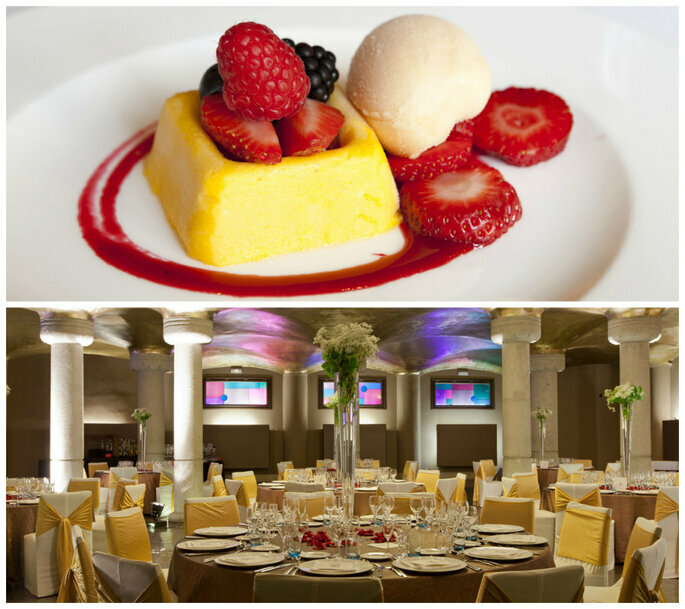 Discover the best restaurants in Barcelona to host your destination wedding. Olé! It is no coincidence that Barcelona is chosen by millions of couples each year as a city break destination, a place in which to recharge their batteries or even get married! The Catalan capital has the ideal conditions for you to enjoy yourself in good company, surrounded by its acclaimed architecture and in a beautiful and privileged environment. 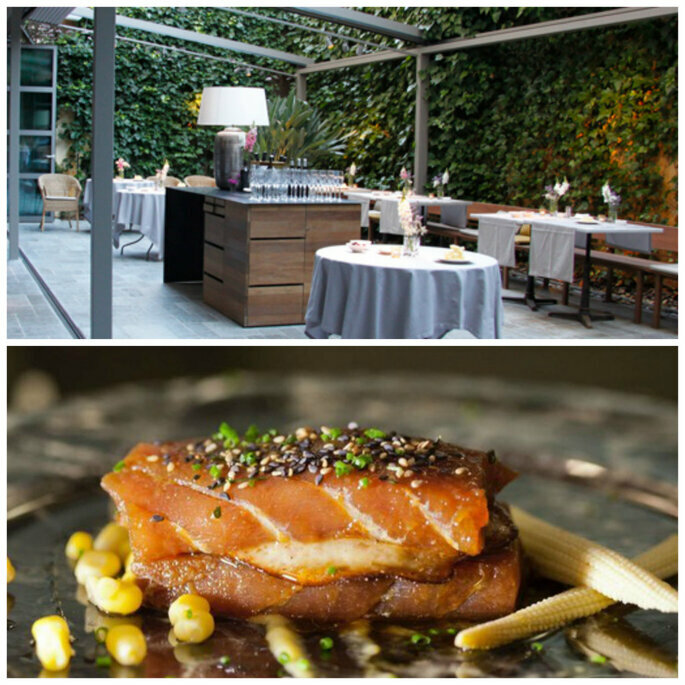 Barcelona, ​​home to prestigious and internationally-renowned chefs, displays its culinary charms for some of the best occasions. And what better time to delight the palate than on your wedding day. 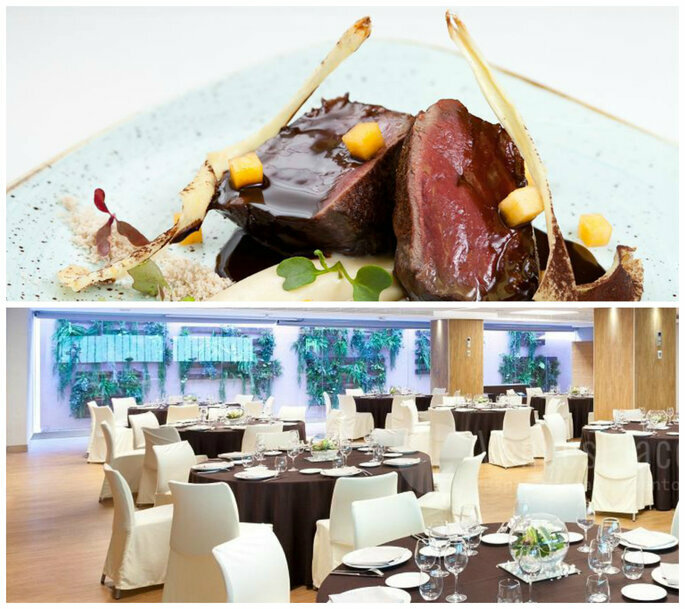 Count on some of the best restaurants for weddings in Barcelona and discover the linchpin to surprise your loved ones on your special day. Bon Appetit! The wedding is a unique event in the life of a couple and therefore it is important to get married in a place where the couple feels that exclusivity. The central building QGAT Restaurant & Events is a Masia (farmhouse), the most representative building of the Catalan rural architecture. This space has the perfect balance between the comfort of an open space for the cocktails, a lounge and the best gastronomic offers specially designed for each wedding. The couple can also have a personalised organisation service and accommodation for their guests. 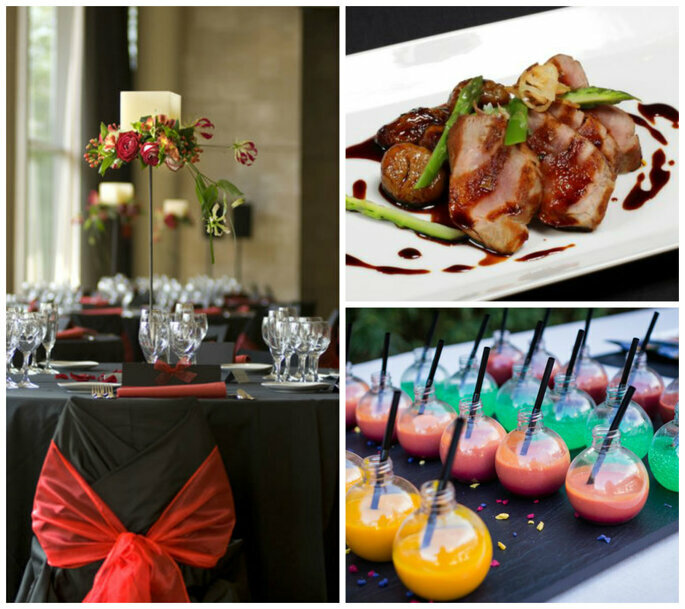 Surprise your guests with every detail you can imagine and more! 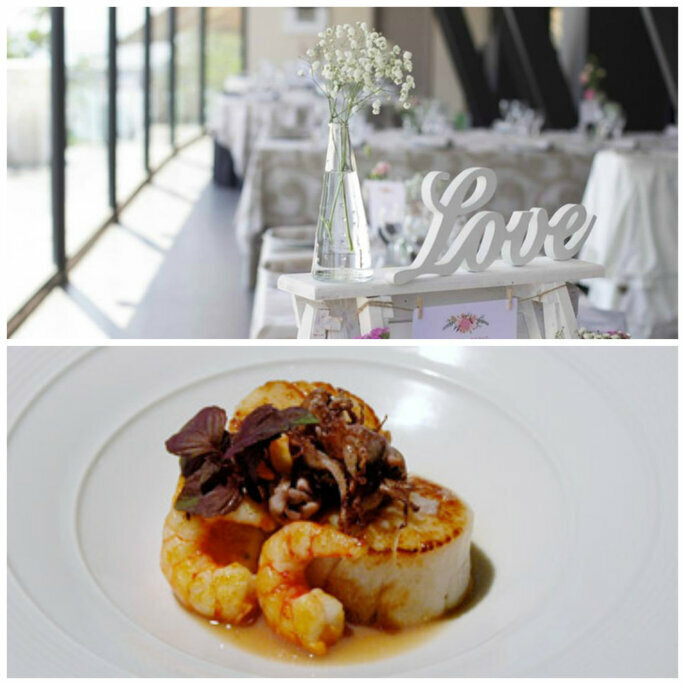 Loidi Restaurant is characterised by a light-hearted personality and it has several areas in which to enjoy every moment of the wedding. 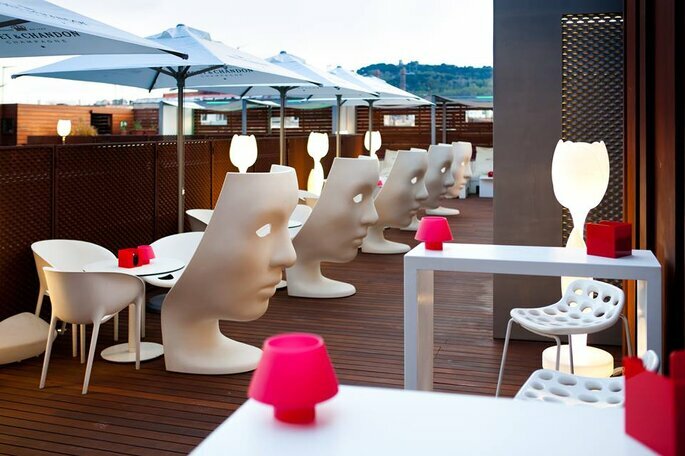 You can enjoy the view of Barcelona’s port while sipping on a cocktail outdoors and then continue to enjoy the celebration in the main dining room. 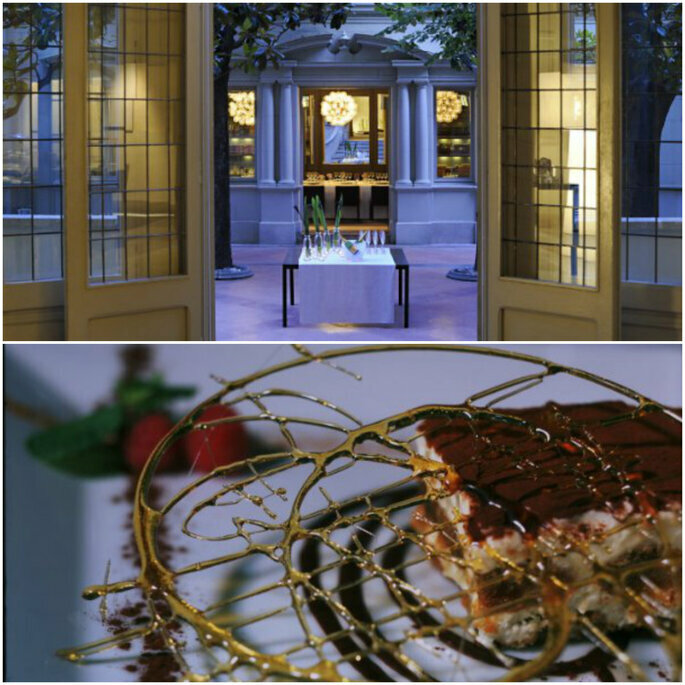 The cuisine is designed by Martin Berastegui, winner of seven Michelin stars. His cuisine mixes traditional roots with modern and avant-garde presentation. Surprise your guests’ palates with dishes made from the finest homegrown produce and the best of the season! 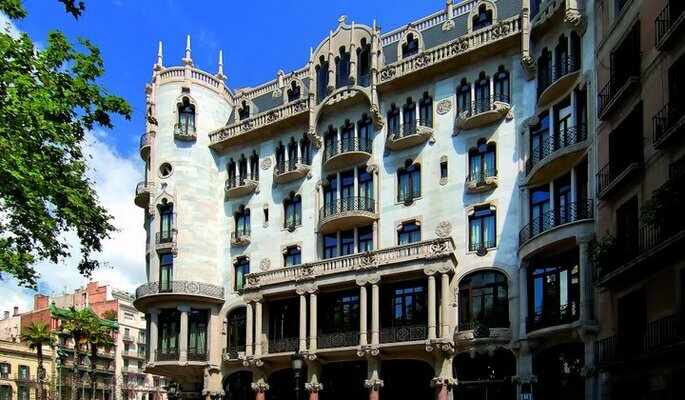 Located in the heart of Barcelona, ​​Hotel Casa Fuster is considered an iconic jewel of the city. This architectural work created by Lluis Domenech i Montaner, symbolises the spirit of modernism at its best. It is a building with lots of character, ideal for those looking for a unique place to celebrate their wedding. The terrace on the roof is a unique viewpoint with spectacular views of the Paseo de Gracia, Tibidabo, Sagrada Familia and the Mediterranean Sea. The hotel falls within the category “Deluxe Monument” and offers service with attention to detail and a personalised experience to make your wedding a day to make history. 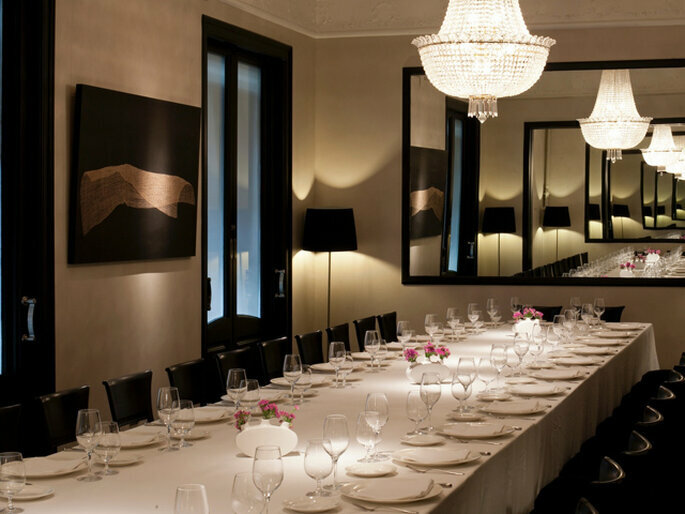 El Principal del Tragaluz is a special place for weddings with elegance and intimacy in the urban heart of Barcelona. 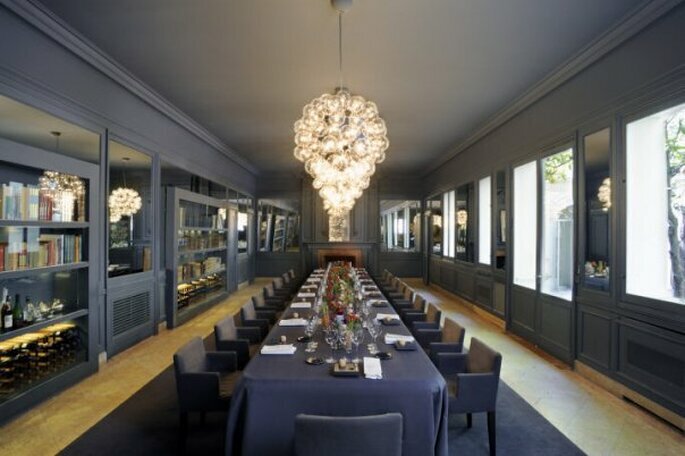 Located in a stately apartment in Provença, this restaurant has four rooms with a total capacity of 260 people and a nice library that is suited to special occasions. The wonderful inner courtyard is ideal for serving pre-dinner cocktails. Full of light and harmony, it’s a comfortable and cozy space with its exceptional cuisine, so that your guests enjoy an exceptional evening. 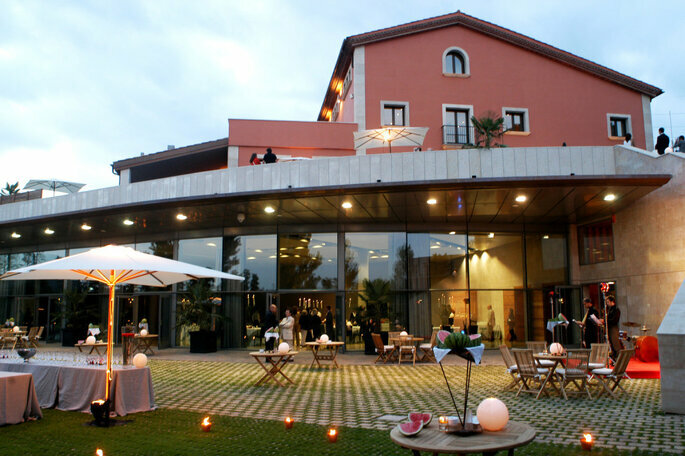 From the heights of Tibidabo it is also possible to enjoy an unforgettable evening wedding. Mirabé has a large lower floor and a garden available throughout the year to celebrate a wedding in a unique environment. The dense vegetation, the freshness of the pond and city views create a unique setting for your wedding celebrations. The taste of the elaborate dishes it provides becomes a pleasant experience thanks to exquisite treatment by very qualified staff, who are always attentive to your needs. A great opportunity to discover the charm of a restaurant looking out over the city of Dali. Tradition and modernism unite here to conquer you on your wedding day. So next up is Windsor, paradise of contemporary Catalan cuisine. But if there is anything that distinguishes this place from the rest, is its concern over the small details – just what you need on such an important day! Elegant crystal lamps, floral arrangements, spotless table linen and cutlery and a lovely terrace are some of the characteristic features of a restaurant where you will be able to celebrate your wedding in an intimate and special way in the heart of a vibrant city. 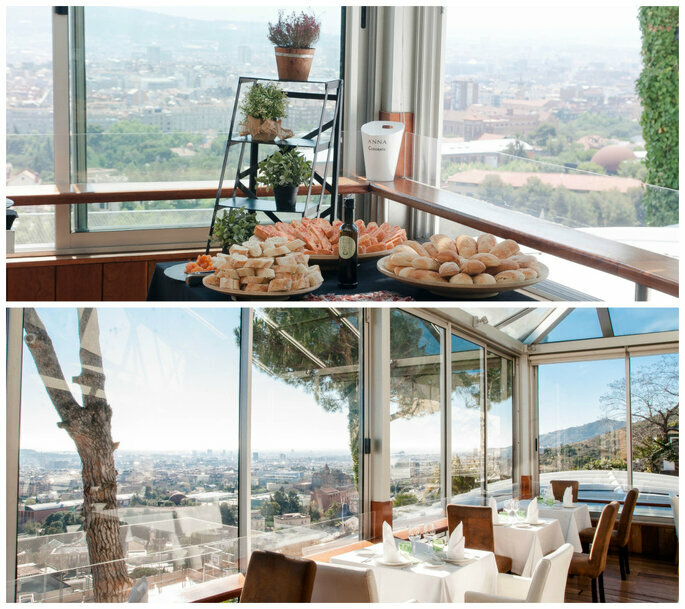 Spectacular views of the city of Barcelona make Miramar Garden Club, the ideal place for a banquet. 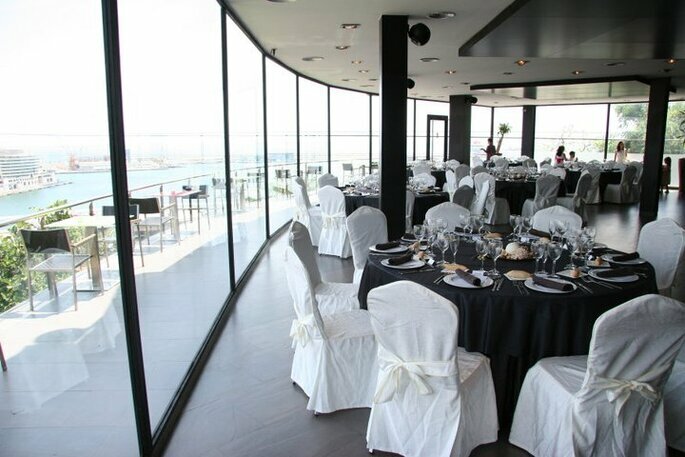 Anchored on the mountain of Montjuïc, this restaurant has different spaces to make your celebration unique. Its pleasant garden is the perfect setting to welcome your guests and whet your appetite with some delicious snacks. Their team does impeccable work so that everything is always flawless. While one of the main features of this place is the careful presentation of an ambitious menu that will not leave you unsatisfied. 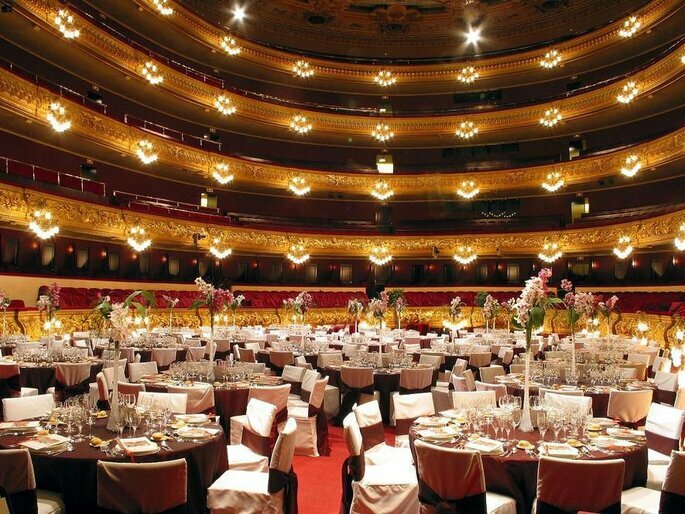 For lovers of the performing arts there is also room right in the Catalan capital. 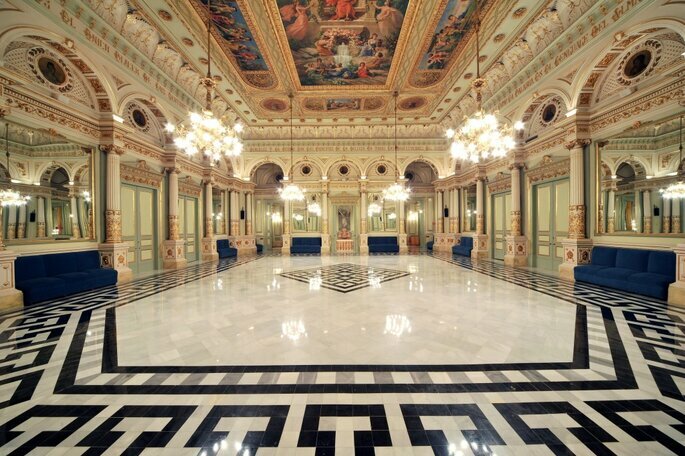 Nothing more and nothing less than the emblematic Liceo de Barcelona opening its doors to host your dream wedding. Its different spaces are adapted according to the number of guests attending the celebration and they can savour the delights of the banquet even in the audience. An original celebration, imbued with the elegance of the grand theatre halls and works of art, the audience will fall in love whilst committing to memory the most special day of your life. Looking for some help in Planning Your Barcelona Wedding? Click here for more information. * This selection is in no particular order of preference.